The Halloween tradition of collecting candy from strangers is satisfying for some. But have you ever wanted more, like baby back ribs, roasted chicken, or a towering salad? 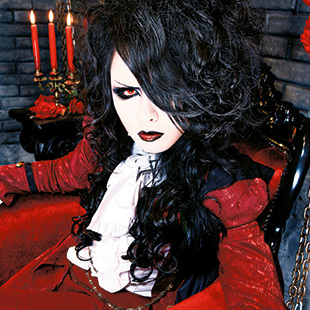 Vampire Rose, the resident count of Ginza’s Vampire Cafe, invites you to pull up a chair at his house and stay awhile. 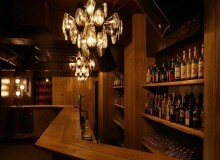 Located on the seventh floor of the La paix Building, just minutes from Ginza Station, the spooky restaurant has been a popular spot for dates, parties, and that occasional walk on the dark—and tasty—side since it first opened in 2001. Vampires are renowned for their irrational Stokeresque fear of garlic, but Count Rose—going strong at 310 years old—has had time to come to terms with the vegetable-herb. As such, he’s cool with the inclusion of garlic toast on the menu (¥666), though he insists that it look like the coffin he sleeps in—complete with a cross made of tomato sauce and bacon. The Corpse of Van Helsing (actually, baby back ribs, ¥3,500 full slab; ¥2,200 half; ¥1,500 quarter) not only provides that thick redness beloved by vampires, but also delivers a tangy, smoky experience that will satisfy those who simply yearn for the taste of the grill. Surrounded by potato wedges, broccoli, and cherry tomatoes, this filling entrée is one of their most popular. Just be prepared for a mess with every bite—you’ll know how vampires feel! 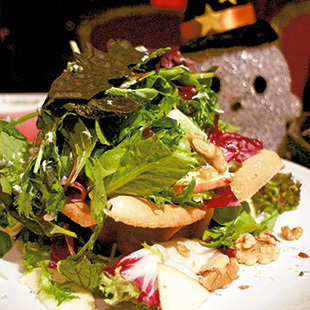 For vegetarians, there are a number of items to choose from, including the Forest of the Dead Salad topped with walnuts and blue cheese (¥880). Keeping with the Gothic theme, the greens are stacked in a crispy wonton shell reminiscent of the Count’s casket. 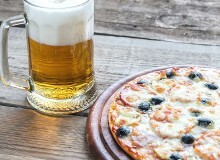 While the food is creative and tasty, much of the Vampire Cafe’s popularity stems from the atmosphere. The motif draws upon legends made familiar through books and film, but merges them with a playful sensibility that creates a fun environment for twilight dining (Vampire Cafe is open for dinner only, 5-11:30pm). The setting is the home of the aforementioned Vampire Rose, with seating for 81 guests that includes private booths for couples, tables for parties of four or more, and a room that can accommodate up to 30 guests for parties and special events. 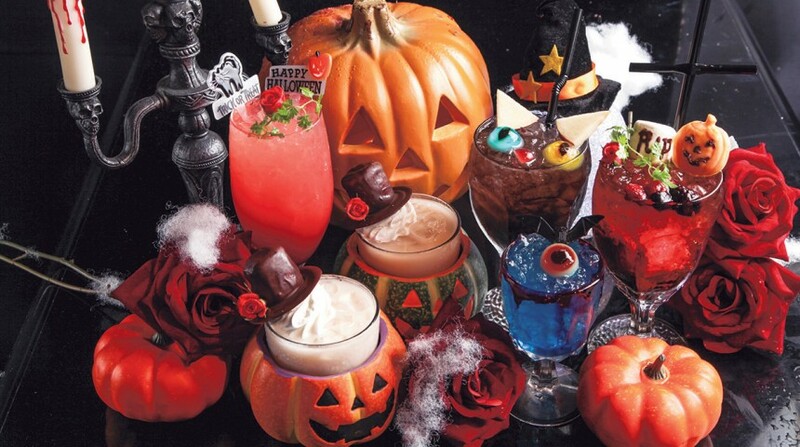 There’s plenty more cleverly-themed food and drinks to choose from year-round, and if you visit between now and November 3 you can enjoy the Vampire Cafe’s special Halloween menu. With many seasonal cocktails and dishes on offer—plus a special course meal (¥3,500)—Count Rose invites you to spend this most haunting of seasons with him. He even has English-speaking servants roaming the bloody corridor.